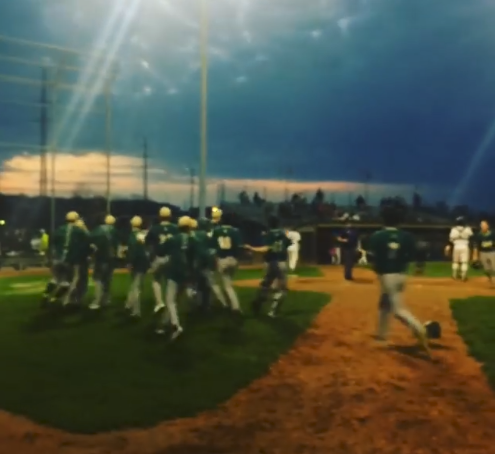 Akron St. Vincent St. Mary was in town to do battle against Coach Weymer and his troops in a game that went back and forth all night before Ursuline’s Joel Kreuzweiser ripped a double in the bottom of the seventh inning that scored Colin Balas and Vince Armeni to win the game 13-12. Jeremy Kreuzweiser would pick up the victory on the bump in relief. The Irish would also push out Dan Yoder, Brady Shannon, and Colin Balas with Joel Kreuzweizer starting the game and giving up three runs on four hits and three walks while striking out one batter. Leading the way offensively was Kreuzweiser with 2 RBI, and Dante Walker with three. Andrew Sabella, John Schatzel, Armeni and Jeremy Kreuzweiser also drove in one runner apiece. For Akron SVSM, Garrett Bischof started the game on the mound and gave up 4 runs on six hits, walking four and striking out one. Knox would take the hard-luck loss giving up four runs on five hits.